Everyone knows about the Croma.com online store for their consumer electronics in India, but did you know there are tonnes of ways to make savings if you follow the right steps? Here at DealSunny we take the hassle away from searching online for Croma coupons and offers, as we collect all the latest ones on a single page. All you have to do is click the one you want to claim and a new window will open with all the terms and details on how to redeem it on the site. Now you can buy all of your electrical products without having to pay full price again! Browse our full list of offers below or use the search bar if you're looking for other stores, service providers or food delivery options. Croma is a leading retailer of consumer electronics, based out of Mumbai, Maharashtra, India. The privately held company sells its range of branded and unbranded products from over 100 stores in over 25 major cities in India, as well as online at CromaRetail.com. Trending products include DVD Players, Laptops, Cameras, and Home Appliances. Customers now often choose the website over the traditional store because of their exclusive Croma offers, that can be redeemed online by using special Croma coupons. We keep an up to date list of these right here, so you never have to waste time searching the web for a code that will work. Just browse back here before placing an order and you are sure to make great savings! Croma was founded in 2006 as a single store and quickly expanded all across India. They launched the online store later in the same year, which is now a key driver of sales. In fact, the website accounts for 11% of all eCommerce transactions in India, making it one of the most successful online stores. Data reveals that the company makes over 1500 crore in yearly revenue. It was recently announced that they plan to expand their stock to include groceries, those these will only be available in their stores - not online. For those that wish to shop on the go or don't have access to a computer, you can also use the mobile app for iOS devices, which is available from the Apple App Store. "Shopping at Croma.com or our Croma stores will be a fulfilling experience giving you access to a wide range of products with exciting deals. All this comes with a great after sale service provided by an authorized 24 x 7 customer care centre," reads their about page. The online Croma store stocks a comprehensive range of consumer electronics, from many well-known brands and lesser known brands as well. If you have a Croma promo code, these can usually be redeemed for discounts in all categories, though some are also for specific items only. 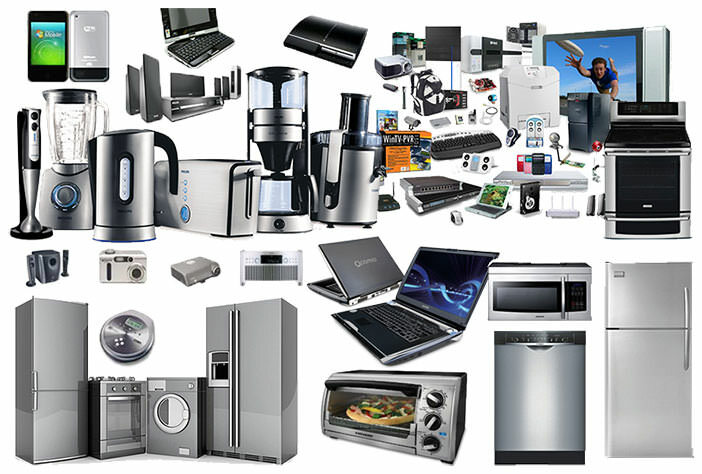 Categories include Computing (computers, laptops, tablets and accessories), Home Entertainment (TVs, DVD players, iPods and MP3 players, audio equipment, speakers and more), Home Appliances, Kitchen Appliances, Photography, Video Gaming, Grooming, and much more. Popular brands available include Apple, Acer, Bajaj, Belkin, Bluestar, Canon, Electrolux, FitBit, Hitachi, HP, HTC, JBL, Lenovo, LG, Logitech, Merlin, Micromax, Microsoft, Nikon, Nokia, Olympus, Panasonic, Philips, Samsung, Sandisk, Sennheiser, Siemens, Skull Candy, Sony, Targus, Videocon, Voltas, Whirlpool, and hundreds of others. Simply click the Brands page on the site for a full A to Z. If you are shopping for somebody else but aren't sure what to buy, you can always get a gift card. This comes with a prepaid amount, allowing the recipient to make their own purchasing choices. Regular Sales: These are normal sales where select items and brands are discounted for a period of time. You do not have to do anything special to benefit from the savings, simply add the sale items to your basket and checkout as normal. Deal of the Day: This is one single deal that is updated every day, which provides deep savings off a single product. If you miss it, you won't be able to get it tomorrow. Cashback: Use certain cards to make your online payment and get up to 5% cashback. Currently applies to Tata Cards, SBI Card and State Bank debit card. Croma Coupons: These are special codes that you can redeem on the site for a variety of discounts and deals. Get them from our list here at Deal Sunny or sign up to their newsletter or social media accounts for some exclusive. You can only use one coupon per order, but they can often be combined with regular sale items for even deeper discounts. Free Gifts: Buy certain products or groups of products, or spend over a certain amount, and get a low value free gift for doing so. EMI Discount: From time to time if you pay using EMI you will be given a small discount. Free Shipping: If you spend over Rs 7,500, shipping is absolutely free on all order. You can pay for your online purchases from Croma using a range of online and offline methods, so no customer is excluded. One of the most common methods is to use a common Indian issued credit, debit or ATM card, including Visa, Visa Debit, Mastercard, American Express, Maestro, and Diners Club. Net Banking is available via most major Indian banks, which allows you to also use funds directly from your account. If you want to buy now and pay later, you should looking in to their Equated Monthly Installment (EMI) option, which is processed through your credit card. This is only available on purchases over Rs. 2,500. CITI bank permits up to 6 month terms, while HDFC permits up to 12 month terms. You can also use a Croma gift card for all or part of your order, with the remaining balance covered by another accepted payment method. If you do not wish to make any kind of online payment you can also use the Cash On Delivery (COD) method, which simply requires you to pay the courier when your order arrives. They will then mark the transaction as complete and deliver the cash to Croma. All items that have the COD Icon except for large appliances like air-conditioners, washing machines, televisions etc are valid for order by COD. For security reasons your total order cannot exceed INR 30,000. You will also be charged a small Rs. 25 fee for using this method of payment. If you wish to redeem Croma coupons, all you have to do is carefully enter the code into the designated box prior to the online payment step. If entered correctly you will see a confirmation message and your order should update according to the terms of the Croma promo code. For example if you applied a discount your total order cost should drop. Note that you can only use one coupon per order, but they can sometimes be combined with regular non-coupon offers to make even deeper savings. Croma currently only serve customers within India, not internationally. They offer customers free shipping throughout India on all orders over the value of Rs 7,500, without having to use any Croma coupons. It will be automatically applied when enough items are added to your cart. Below this threshold shipping costs a flat rate of Rs 75 and is an extra Rs. 25 if you wish to pay using COD. Estimated delivery time will vary from location to location, though you will be able to track your order from within your online account. This will also be emailed to you. Couriers used include Blue dart, Aramex, and DIESL. The best and fastest option will be automatically chosen for you, as there are no expedited options. Note that not every single address in India is catered to, so you are prompted to enter your pincode before completing an order. All orders will be confirmed via email and you will also be notified when your order has been dispatched. Using the Croma website is similar to most other eCommerce sites. It uses a standard basket and checkout system, and you can find products by using the categories outlined above or by using the search bar at the top of the page. There are also pages for Top Selling products, Trending Product, and Latest Reviews. Once you've made a search or entered a category you can then further refine the listing by price range, brand, features, popularity, discount type, and other parameters so you can find exactly what you want. There are also helpful star ratings and reviews left by other customers to help you make an informed decision. Croma caters to both small individual customers and bulk buyers. If you want to purchase a large quantity of a product for your business or organization, simply click the Bulk Order link at the bottom of the page. You will also be able to get a nice discount for doing so. The maximum quantity you can purchase of any given item however will be determined by the current stock level. For regular Croma offers you can check the homepage or follow them on social media. They are active on Facebook, Twitter, Youtube, and Google Plus. You can also enter your email address and sign up for the newsletter. Of course you can also find the latest Croma coupons right here! The Croma blog features shopping tips and information on their latest products. You can cancel your order from Croma at any time before it is marked for dispatch. You will get a full refund minus a 2% charge. This will be paid back to you via the method you used when ordering, though if you used COD you must provide your bank account details or accept a store credit. Processing may take up to 3 working days depending on your bank or card issuer. Croma also operate a 15 day return policy, allowing customers to return any item within 15 days of the delivery date for a refund or exchange. Unwanted items must be in their original brand new and unused condition to be eligible. If an item arrives in a damaged or defective state, you should contact customer support right away. In this scenario you are advised to call their 24 Hour Customer Care Helpline on 7207-666-000. You cannot currently return online orders to a local Croma store. Note if you have used Croma coupons to get a discount on your order, you will obviously only be refunded the actual cash amount charged after this was applied, not the regular selling price. If said coupon has expired you will no be able to use it a second time.